Yes, summer to us is the symbol of sunshine, happiness and merriment. There is all glowing around. But, yes it also brings with it certain discomforts in the form of excessive sweating, tanning and other health issues. We have solutions for all. If it is sweating we wear the lose clothes, if tanning is the issue we wear a sunscreen and yes, not to forget that umbrella becomes the permanent resident of our handbags. We can forget carrying money but not the umbrella. Now the point is that these are the solutions for problems we avckno0wledge but what about those we do not. Hair, for example is the biggest asset of a girl. Longer the hair, more beautiful the girl is considered to be. Here we have for you the list of Top 10 Most Beneficial Easy Hairstyles In Summer. Now you might be wondering from where did the hairstyles bump in from. If you have never paid attention then do pay it now onwards. Many a times when you feel the hotness, what you do an a reflex action is roll your hair a tie a bun when you are alone and again leave these open when someone enters the room. Yes, you are getting it right, hair though an asset is one of the reasons of discomfort and these also cause sweating wherever they fall, especially on the neck and the back. But, what then? You cannot tie the knot always. No, you cannot compromise with your appearance. You cannot do injustice to the outfit you wear. You cannot disregard the event you wish to attend by simply tieing your hair into a bun. We have therefore prepared something for you as has already been mentioned. Yes, the most appropriate hairstyles that you can do in the season of sun. Simply use two hair pins and try this out. Make the centre or the side partition in your hair. Take few hair from the each end of the partition, roll then like a rope and pin them at the back of your head. Take a rubber band and tie you hair. As simple as it looks. Use the gel to give your hair a wet look. Doing so we attach he strands of your hair together, keeping them in a certain fixed position. This way you will avoid the discomfort of hair falling on your face and at the same time look beautiful. Comb your hair o get them organized and simply tie them up in the form of a bun having loops within. This you can make happen by using your hand movements. Do not tie the runner at higher a position. Keep it low. This will make you look classy at the same time no hair strands will get dislocated from their place. Sometimes you wish to flaunt you hair but the summer does not allow the same. In this case you need not compromise. Simply, make a side partition on your head. And spare the strands from the side that has the larger portion and tie rest of the hair into a tidily knit bun. Then leave the strands as they are or use a straightener or the roller to organize the same. Make knots of your hair at regular intervals and pin them into a series of loops. Make use of the clear elastic to tie them. Easy and elegant as it can rightly be called. Different people have different hair texture. But if you are the one with fluffy hair, then at other times you might be at a disadvantage but not here. 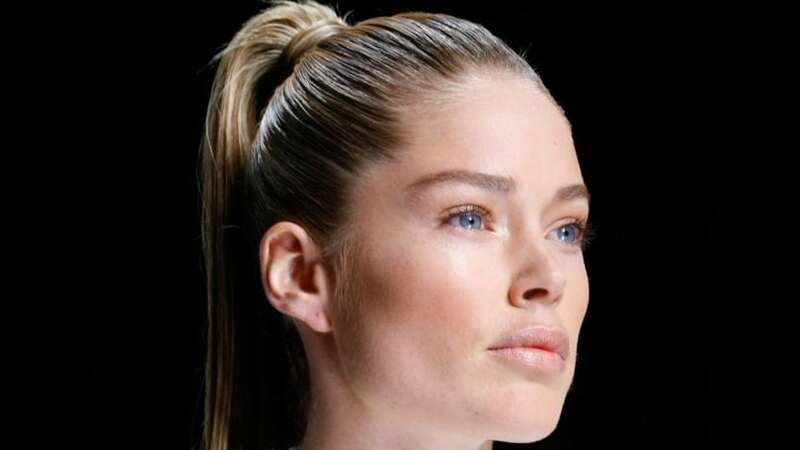 Simply do the centre parting and then tie a low pony and let your hair stand still. Simply take the hair straightener if you have and straighten your hair. If not, then simply comb your hair. Hold them together. Take a bigger than usual rubber band and tie you hair at a higher edge and flaunt the high pony that you have now. Twist your hair from one side after having more hair after making the side partition. Pin back your hair. 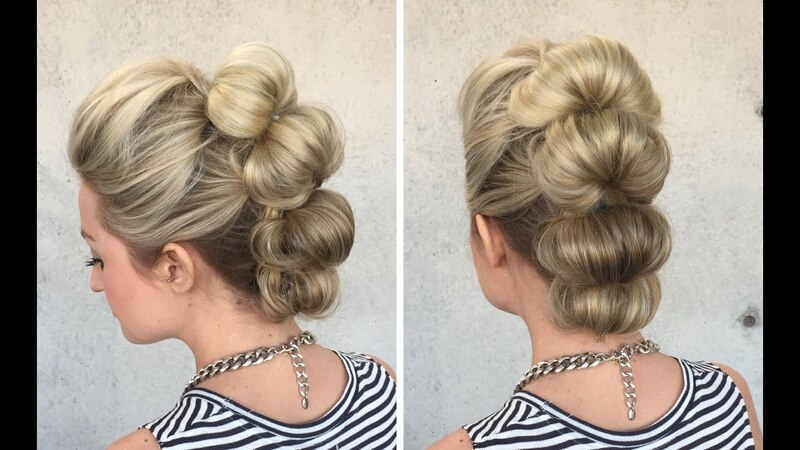 Collect the hair from both side and roll them after folding into a bun. It might seem an obvious solution but not many know that this is one of the most elegant hairstyle. Simply make a braid of your hair that is loosely knit. Tie it with the rubber band. If you have a rough texture, then this might be a disadvantage to you at many points but here it is a blessing. Simply collect your hair, raise them a little head high and get the perfect faux hawk. This is an ideal and a simple hairstyle not requiring much of efforts. All in all, these are the best hairstyles that you can try this summer. Each of the above given hairstyle is worth a shot. Not only will they help you to skip the discomfort that hair cause n summers but at the same time they will also help you to look beautiful and charming. All these hairstyles are good for different occasions that you need to attend. Even on the daily basis if you want then you can use the same for going to the office, college, marketplace or any where you like. These are not at all time consuming and you can make these easily without having to take help from anyone else. Try these out for yourself and see what magic they do to you. These are surely worth a try. So do not aloe your hair to be a burden this summer. Instead flaunt it like an asset and enjoy the look of appreciation that you will receive from all around.